Discover how a Michigan cerebral palsy lawyer can help you secure the future of your child born with a birth defect caused by a medical mistake. Our Michigan cerebral palsy lawyers know that raising a healthy child is difficult enough, but raising a special needs child poses additional significant challenges to parents. A child born with cerebral palsy will most often require significant medical attention, individualized education, specialized transportation and housing needs. Many parents even quit their jobs in order to spend the necessary time to raise their child and their greatest concern is who will take of their child when they are no longer able to do it themselves. When cerebral palsy was caused by a medical error of a physician, nurse or hospital, there are legal options available to pursue for both the parents and child. Birth injury lawsuits provide parents the financial means and support necessary not only to raise their child, but to also to provide the security and peace of mind for their child's lifetime. Many birth injury lawsuits result in settlements and jury verdicts well in excess of $5,000,000.00 for these very reasons. Cerebral palsy is a common birth injury caused by damage to the motor areas of the brain. Medical professionals are required to recognize changing conditions in the fetus and mother during pregnancy, labor & delivery, and immediately after birth. The failure to provide the necessary medical care and treatment can cause cerebral palsy and result in lifetime harm to the baby. What Are Birth Injury And Cerebral Palsy Lawsuits? A birth injury lawsuit, also known as a birth trauma case, is a medical malpractice case seeking compensation harm caused before, during, or just after a baby is born. Cases involving cerebral palsy are considered birth injury cases. These lawsuits are filed against doctors, nurses, and hospitals for negligence in the care and treatment of both the mother and the baby. The cases seek moneycompensation for the injuries caused to the baby and the costs for the past, present, and future medical care, financial support, educational expenses, and housing for the child. What Are The Common Medical Errors In Cerebral Palsy Lawsuits? Failure to refer the expectant mother to a specialist when problems arose during pregnancy. How Do I Know If I Have A Cerebral Palsy Case? The doctors and hospital will not tell if you if a medical mistake caused your child’s cerebral palsy. The only way for you to know if you have a case is to hire an experienced birth injury law firm for your case. Our birth injury legal team will get all of the medical records from the neo-natal treatment through the post-birth care at the hospital. This includes OB/GYN records, fetal monitoring strips, lab studies, labor and delivery records, and all post-birth hospital records. We will have our in house medical team review the records and then consult with our nationally recognized medical experts to find out if you have a case. If you have a case, will prepare all of the legal pleadings needed to file a lawsuit and will hire the top birth trauma physicians in the United States to be the medical experts in your case. We will then file your lawsuit at the courthouse and move forward to get the highest possible settlement. Can I File A Lawsuit If My Child Has Cerebral Palsy? The child suffered quantifiable harm as a result of the medical malpractice, which would include pain and suffering, disability, loss of future income, loss of enjoyment of life, special educational needs, medical expenses and other economic harm. You can file a lawsuit if your child has cerebral palsy or another birth injury due to medical negligence in your pre-natal care, during labor and delivery, or after your baby is born. Our attorneys will review all of the medical records with highly qualified medical experts to prove all of the factor required to win your case. Video: What Is The Time Limit To File A Michigan Cerebral Palsy Lawsuit? There are strict time deadlines for filing a cerebral palsy lawsuit in Michigan. These deadlines are known as the statute of limitations. For cases involving cerebral palsy or any other birth injury, the lawsuit must be filed before the child’s 10th birthday. There are no exceptions to this rule. If you miss this deadline, the claim will be destroyed forever. If you suspect that your child was the victim of a medical mistake at or before birth, call our award-winning lawyers at the Buckfire Law Firm now. We will get the medical records and have them reviewed by the top national medical experts to see if medical negligence was the cause of your child’s condition. If a medical error caused your child’s cerebral palsy, we will immediately file a lawsuit against the hospital and its staff. How Do I File A Michigan Cerebral Palsy Lawsuit? The first step is to contact our experienced cerebral palsy lawsuit lawyers. We will get all of the pre-natal records, hospital records, and post-birth records and our legal team will carefully review them . We will then consult with the top national medical experts to determine if medical negligence caused the birth condition and how this condition will affect the child throughout his or her lifetime. We will then give you an honest opinion on whether you have a case or not. If we determine that you can file a lawsuit, we will send out the required Notice of Intent to File Lawsuit to all doctors and hospitals who might responsible for the harm suffered by the child. This must be sent out more than six months before a lawsuit can be filed in the circuit court. Michigan medical malpractice law also requires that every lawsuit alleging negligence by a licensed medical provider have an Affidavit of Merit attached to the Complaint filed with the court. The Affidavit of Merit is a notarized legal document signed by a physician serving as an expert witness. It contains the medical reasons for the expert's opinion that medical malpractice or negligence by a doctor or hospital caused injury, harm, or death to a patient. Our lawyers work with the medical experts to obtain the Affidavit for you. In cases involving more than one negligent doctor or hospital, it may be necessary for us to get multiple Affidavits from physicians with different specialties. Once all of the Affidavits are received, a lawsuit can be filed in the circuit court for the county where the medical treatment occurred. The lawsuit can take up to two years from start to finish, which means ending in a jury trial but most often a substantial settlement for you and your child. Do Parents Get Settlement Money In A Cerebral Palsy Lawsuit? The parents of the child often receive settlement money in a birth injury settlement in addition to the compensation paid to the child. Many parents must quit their jobs and careers to take care of their special needs child and lose a primary source of family income. And although every parent is legally responsible for providing for their child, the work and effort needed to care for a child with special needs is very difficult. Settlements frequently provide money to parents to compensate them for their loss of income and their extraordinary work caring for their child. What Happens With The Settlement Money For My Child? The settlement money for the child must usually be placed in a trust is often used to purchase a structured insurance policy. This is done for several reasons. First, a special needs trust is necessary to protect the child’s ability to receive government benefits in the future. The trust can also protect the funds from creditors and even fraud. Second, a structured insurance policy pays the child and parents a pre-determined amount of money every year over the child’s life. The amount of the policy and the payments is determined by the parents with the assistance of their attorney and often a financial adviser. The amounts are intended to pay for necessary resources for the child, including the annual housing, education, medical expenses, and other needs of the child and family. The parents can still use the funds to provide for things that are in the best interests of the child. How Much Are Settlement Amounts For Cerebral Palsy Lawsuits? The amount of a cerebral palsy lawsuit settlement depends on the strength of the evidence in proving the that medical negligence caused the birth injury. There is no set guideline or formula to determine the amount of a settlement. It is the experience of a skilled attorney that can determine the fair settlement based upon the factors needed to prove and win a case. When medical negligence can be proven in a cerebral palsy case, the amount of the settlement is substantial. Settlements in these lawsuits includes compensation for the lifetime disability of the child, special education needs, specialized housing and vehicle needs, medical equipment, medical expenses, and the overall costs of caring for a child with special needs. We hire certified life care planners and economists to assess all of the needs of the child and family and to determine the lifetime cost of those needs. Other settlement factors include the insurance policy limits of the doctor and hospital, the severity of the injuries, and the county where the lawsuit was filed. Hospitals and insurance companies evaluate the same factors when deciding if they want to settle a lawsuit or take it to trial. These factors also determine the amount of a settlement. What Is The Average Settlement Amount For Birth Injury And Cerebral Palsy Lawsuits? There is no “average settlement” for a birth injury lawsuit. Every case is completely different so the settlement payout amounts vary from case to case. Settlement payouts depend on a large number of factors including the severity of medical negligence, whether it can be proven that the negligence caused the injury, and the type of harm caused by the medical error. When assessing the damages in a birth injury case, the settlement amount takes into consideration the permanency of the injury, the past and future medical expenses, the costs of raising and caring for a special needs child, and a detailed economic analysis of the lifetime expenses of the child. Finally, the attorney you choose is often the biggest factor in your settlement amount. The best attorneys get their clients the highest settlements through their skill, hard work, and experience. Choosing the right lawyer is the most important decision you will make for your case. $7,530,000 Settlement for a child who suffered permanent blindness in Detroit. $3,000,000 Settlement for a baby who suffered a brain injury due to the failure to properly read fetal monitoring strips. $3,000,000 Settlement for child who suffered severe injury from a vacuum extractor. $1,950,000 Settlement for a child who suffered fetal asphyxia, resulting in cerebral palsy. $1,900,000 Settlement for a child who suffered birth trauma during delivery. $975,000 Settlement against medical providers who were negligent, resulting in cerebral palsy. $12,000,000 settlement for an infant who developed cerebral palsy after birth trauma causing hypoxia-ischemia at a Michigan hospital. $ 5,850,000 settlement against a Michigan hospital, doctors, and nurses for failure to treat high bilirubin which resulted in a newborn's brain damage. $ 4,500,000 settlement for a premature baby diagnosed with spastic quadriplegic cerebral palsy after being over-ventilated in the neonatal unit. The hospital staff failed to monitor the baby’s blood levels during his intubation, resulting in decreased cerebral blood flow and causing irreversible brain damage. $ 3,575,000 birth injury settlement due to the delay in performing a C-section. The baby developed spastic quadriplegia and cerebral palsy due to the delay. $ 2,750,000 HIE settlement in a birth injury malpractice lawsuit. The baby was born with cerebral palsy when health care providers failed to take the proper precautions for a mother with a history of growth-restricted pregnancies. The negligent failure to properly monitor fetal development resulted in intrauterine growth restriction, hypoxia-ischemia, and infection causing severe brain damage. Do Most Cerebral Palsy Cases Settle Or Go To Trial? Most birth injury lawsuits, including cerebral palsy cases, settle before a trial. The potential jury verdict in these cases is extraordinarily high based upon the significant damages that will be demanded at the time of trial. This risk is often too hospital for the hospital in cases with merit and it is in the best interests of all parties to settle the case before going to a trial. How Much Time Do I Have To File A Birth Injury Lawsuit In Michigan? Under Michigan law, you have until your child’s 10th birthday to file a birth injury lawsuit. This includes cases involving cerebral palsy, Erb’s palsy, shoulder dystocia, hypoxic ischemic encephalopathy (HIE), and all other birth trauma cases. This time deadline, or statute of limitations, is very strict so you should contact an attorney as soon as possible to start the investigation of your case. How Much Does It Cost To Hire A Cerebral Palsy & Birth Injury Attorney? It does not cost anything to hire our cerebral palsy and birth injury lawyers. We do not charge any fees to start your case and only get paid when you receive your settlement check. This is called a contingency fee agreement. Under this arrangement, we also pay all of the case expenses for you and get a percentage of the settlement at the very end of the case when your check is received. Do I Have To Pay My Attorney If I Lose My Case? 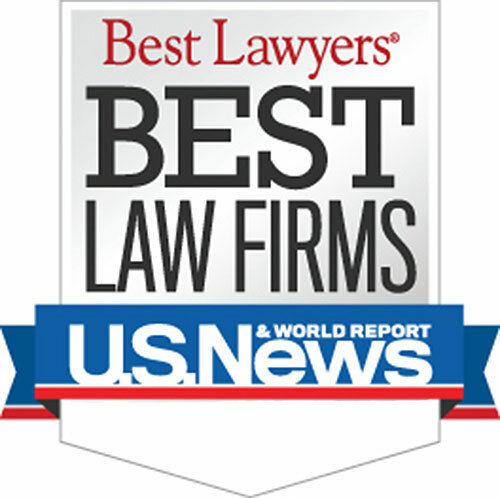 Who Are The Best Michigan Cerebral Palsy Lawyers? Warning: There are strict time deadlines for filing Michigan cerebral palsy lawsuits. 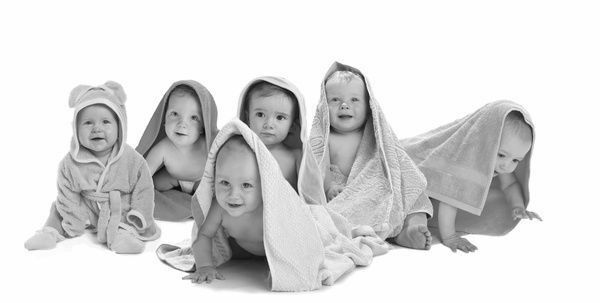 Call us to learn more about birth injury lawsuits & settlements. Larry Buckfire's greatest concern was the future financial security of my child and I am grateful for his efforts. I would tell anybody who is unsure, embarrassed about the situation, or just distraught, to come to Larry because he knows how to take care of these problems. He knows how to ensure a future for your child, and that's what matters.